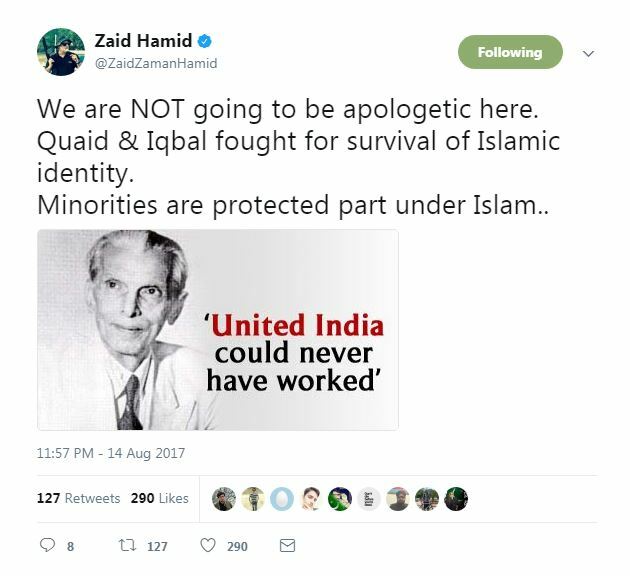 In the most recent of his famously staggering claims, theories and demands, self-proclaimed ‘defence analyst’ and TV personality Zaid Hamid has expressed his desire to see the white strip symbolising minorities removed from the national flag of Pakistan. The implication of the tweet that the white strip in the national flag, which is famously representative of the country’s minorities, should be removed are dark and dangerous. With minorities already under threat and regular victims of ostracisation, violence and exploitation, in the country such propagation serve only to create and solidify extremists and intolerant opinions that have taken root in the minds of Hamid’s target audience: the young and impressionable. 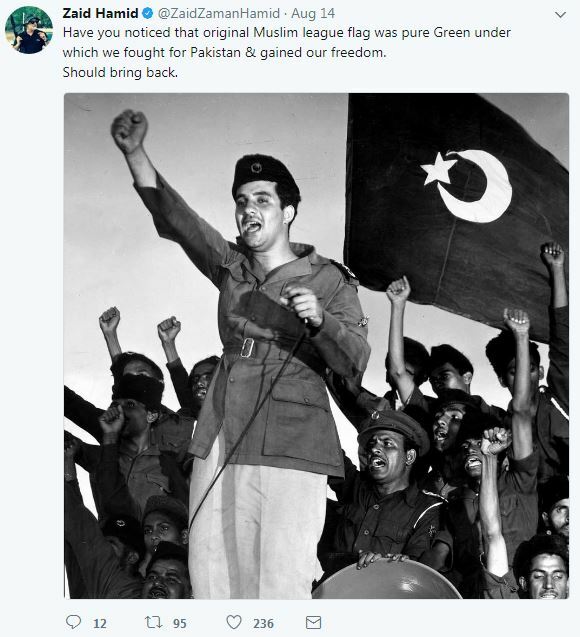 In saying these things, Hamid is apparently forgetting that the Quaid had himself insisted not only on minorities being represented in the national flag, but also asked on more than one occasion for the total ratio of green to white to be increased. His tweets also undermine the efforts of all the non-muslim pre-partition workers of the league and the many contributions made by minority Pakistanis since the nation’s inception. Once again one is made to question Hamid given that the Quaid had no reason to compromise on the flag, and also why Hamid insists on snatching the the one solid piece of identity left to minorities in favour of “protecting them under Islam.” It also seems necessary to remind Hamid that bith Jinnah and Gandhi at the time of World War Two expressed their solidarity with the British (with the exception of the Quit India Movement), and affirmed that the subcontinent would have dominion status post-independence. WHY DO YOU HAVE TO HIGHLIGHT IT. IGNORE IT. IT DIES. The star and cresent are white too. If you want to remove the WHITE strip …remove the star and the cresent as well!